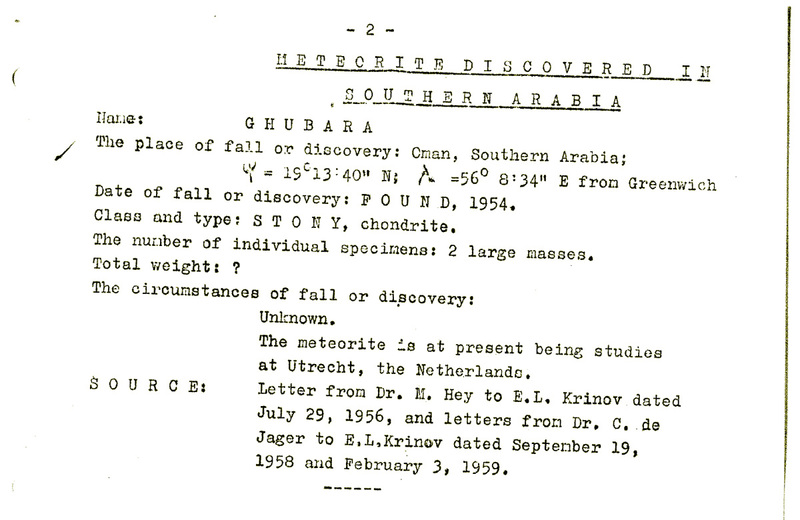 Ghubara is a piece of meteorite history. Together with the L6 chondrite Tarfa it was the first meteorite ever discovered in Oman. Ghuabara also has an intriguing lithology. There are numerous clasts and inclusions in the chondrite. Some of them providing links to enstatite chondrites (see M.A. Ivanova et al. : RUTILE AND Mn-RICH CHROMITE-BEARING SULFIDE NUGGETS IN AN UNUSUAL INCLUSION FROM THE GHUBARA (L5) CHONDRITE). 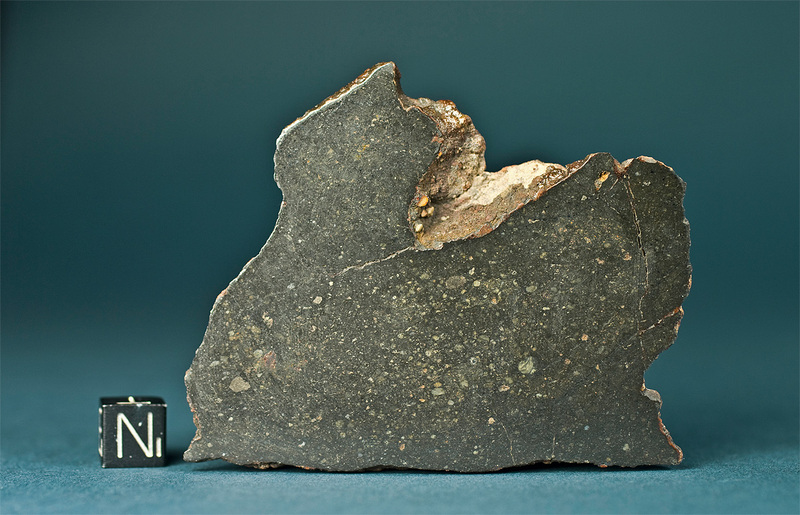 The lower image shows a facsimile of the original entry in the Meteoritical Bulletin no. 13, Moscow (1959). Specimen is a present from the finder.